OK, I admit it. Yesterday, without them knowing it, I was listening in to my wife and her friend as they were having a conversation. It was interesting and funny since I can relate to the poor guy that was getting a tongue lashing. “We are getting out of town guests for the holidays, and I really wanted to spruce our house up. Doing some research on the Internet, I learned of many inexpensive things to do that can make a space look fresh. I decided to get some new valances for my living room and kitchen, which includes the patio door. I purchased some valances online and really looked forward to putting them up,” she went on. “Still, no new valances. Well, that weekend (again when he was not hanging my valances) we went to dinner at a friend’s house. My husband overheard me telling my friend of my new ideas, and how he still has not helped me out even though I asked him over a month ago. Well, I guess that did it because the next day, lo and behold, my wonderful husband finally got around to hanging my valances,” she said. 1) Position the rod so the bottom of the valance hangs between 4-8 inches below the trim. 2) If you don’t already have one, invest in a cordless drill. You don’t have to get a fancy one for $150. A $25.00 one will be sufficient and come in handy for other projects around the house. 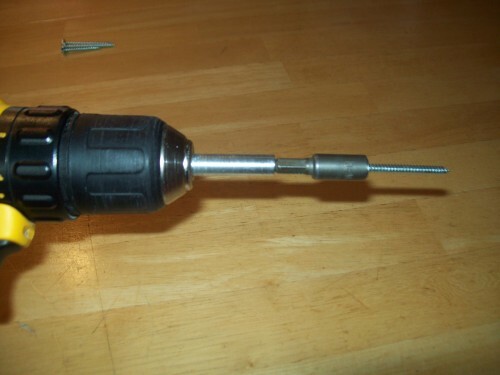 3) Go to the hardware store and buy a small extension for your drill, a 1/4 nut drive, and some 1 3/4 or 2 inch screws with a 1/4 inch hex head. You can buy both for less than $5.00 total. Throw away the screws that came with the rod. 4) Mount the brackets at the height you determine to be best and about a inch to the left and an inch to the right of the trim. 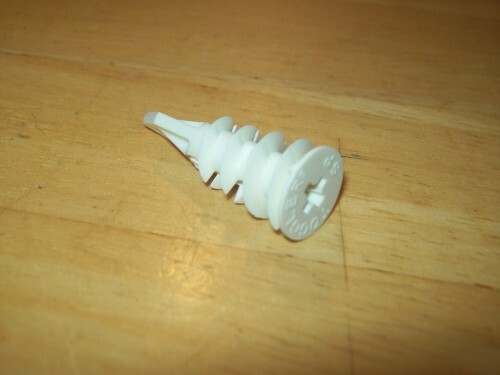 Use your cordless drill to drive the hex head screws through your drywall and into the wood frame behind the drywall. 5) If you keep the brackets close to the trim and use longer screws like I suggest, you won’t have to use mollys or anchors. 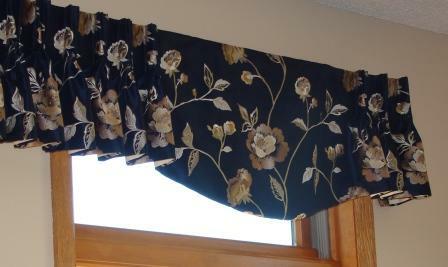 Using smaller screws and anchors is the biggest reason valance either fall out or hang by a thread. 6) If you have to mount your brackets so that it’s impossible to hit a stud, then use corkscrew anchors. They are easy to install and are very strong. I always keep a supply with me and use them often. Robert is a window treatment installer who blogs about all things window treatments at bobtheblindguy.com . If you are looking for information on window treatments and ways to install them yourself, Bob The Blind Guy is your source. Get first-hand information from a professional with years of experience in the business. What is a Valance and How is it Different Than a Cornice? Guest Post: Are You Over-Plugged?